Hanji Edition was founded by two Korean-American printmakers, Steph Rue and Lars Kim, who share a passion for Korean print and papermaking. As traditional hanji mills in Korea rapidly decline, our goal is to introduce artists and art appreciators to the beauty and versatile potential of hanji as a substrate for print. We are pleased to announce a limited edition portfolio of five unique prints, the first of its kind in North America. Each portfolio includes the work of five invited artists, whose processes range from letterpress, intaglio, painting, mokuhanga (Japanese woodcut) giclée and chine collé. The five prints are presented in a custom bound Japanese portfolio box with an inner hanji-lined tray and a full color, hand-bound booklet with letterpress printed covers containing an essay on hanji (by Chunwoo Nam, director of the Print Art Research Center in Seoul) and artist information. The portfolio is limited to an edition of 20. Lars Kim is a designer and letterpress printer living in San Francisco. After completing studies at Bryn Mawr College and the University of Copenhagen, she worked in architecture and new media before stumbling upon a Heidelberg Windmill in 2006. Since then, she has deepened her passion for typography as well as the tactile beauty of letterpress, delving ever deeper into the technical aspects of print and bookbinding. 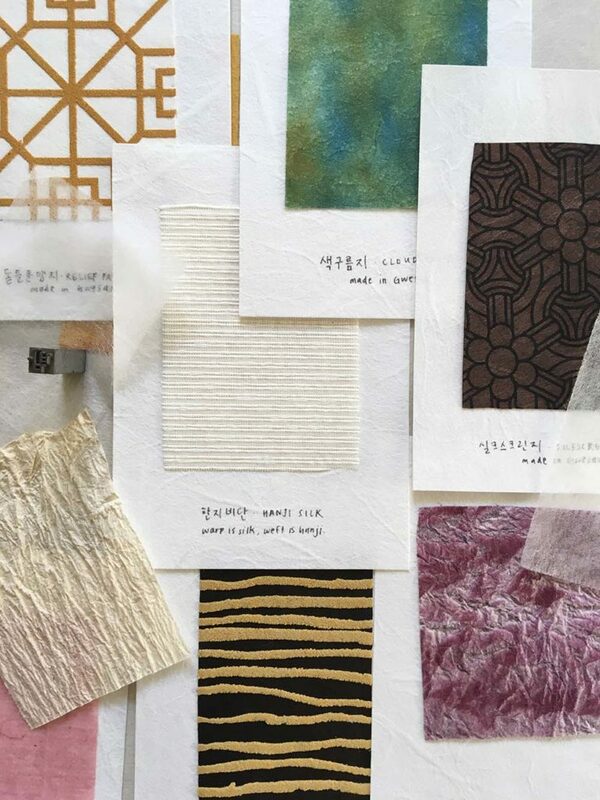 Lars teaches design at the San Francisco Center for the Book, where she produced an artist’s book on Korean symbols of longevity (Shipjangsaeng) for the Small Plates Imprint program in 2017; this book includes medium weight hanji from Jangjibang. She manages production at Logos Graphics and works on a range of commercial and private graphic/web design projects through her freelance practice, Solsken Design. Steph Rue is an artist working primarily with handmade paper and books as her medium. She is a 2015-2016 recipient of a Fulbright Arts Research Grant to South Korea, where she studied traditional Korean bookbinding, papermaking, and printing. She has an MFA from the University of Iowa Center for the Book and a BA from Stanford University. She teaches workshops on papermaking and bookmaking, with an emphasis on East Asian techniques. Steph also sells hanji and related products. You can see Steph’s work at stephrue.com or read about her research on Korean book and paper arts at stephruejournal.wordpress.com.